After living in both, San Francisco and New York, I’ve mastered the seasonal wardrobe change. The best part of this process is getting rid of the things you didn’t wear the previous season. There are always a few pieces that go on for another try the next season but for the most part, I try and remove anything from my wardrobe that I didn’t get to wear. I truly believe this gives you a better idea about what you own and what you’d like to add to your wardrobe. If your closet is constantly cluttered with pieces you never wear, you’ll feel like you have “nothing to wear”. 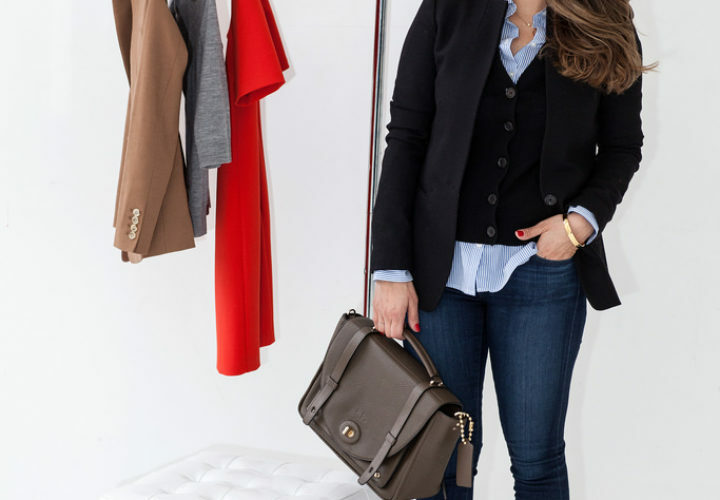 A wardrobe full of (fewer) pieces you love, will give you the feeling that you love your wardrobe and encourage more creativity with your outfits.While unpacking last weekend, I pulled out all my J.Crew wool #2 pencil skirts and chunky knits. This got me really excited about fall and winter! I love these wool skirts. They go with almost every top in my wardrobe and make getting ready for work effortless. I picked up this bright yellow skirt a few weeks ago from J.Crew. The bright color reminded me of spring but the wool material still made it appropriate for the colder months ahead.